The very thought of a Swedish holiday conjures up alluring images of cosy cottages and panoramic scenic views. Sweden is located in Northern Europe and is bounded by Finland and the Baltic Sea. For a rich holiday experience comprising ancient burial sites, medieval palaces, stunning landscapes and historic forts, Sweden is truly a traveller’s delight. Start your exploration of Sweden with a trip to the magical Drottningholm Palace, located close to Stockholm. The Palace is known for its outstanding bronze sculptures. Keep a whole day free to enjoy the ten exhibitions of the Vasa Museum in Stockholm. The Vasa museum showcases the shipwrecked Vasa ship that went under during the seventeenth century. Take a Stromma Boat and tour the scenic Swedish Islands. Enjoy the sights and sounds of Djurgarden including an open air museum, zoo and the Grona Lund Amusement Park. For the active and energetic, there is also canoe and bicycle hire available. For a close encounter with old world charm, take a trip to Sigtuna, one of Sweden’s oldest towns built back in AD 980. Sigtuna is also popular for the stunning lush greenery surrounding the Lake Malaren. The Swedish town of Vista on the island of Gotland is understandably called the ‘Pearl of the Baltic’. The old cobblestoned streets, sloping gables and attractive old world air attract thousands of visitors every year. Book a boat trip down the Gota Canal or optionally, take a luxury cruise down the canal to Lakes Vanern and Vattern. For a brush with the forbidding, glacial appeal of Northern Sweden, visit Kiruna in Lapland, a mining town that borders both Finland and Norway. Kiruna is also known for the Abisko National Park where you can enjoy viewing native Nordic wildlife. Kiruna is also the place where you can experience the famous ‘midnight sun’ – 24 hours of daylight from May to July. Take a ride on the big wheel in the Lisenberg Theme Park for a bird’s eye view of Gothenberg. In addition to numerous children’s rides, there are high speed roller coasters and adrenaline-pumping thrills. Bite into some succulent Rakor (Swedish local shrimp) and try some sweet princesstarta (green marzipan with fluffy cream). Kanebullar is Swedish cinnamon buns and Brannvin is Swedish Vodka. During the third week of June, the Stromsburg Festival consists of music, dance, plays, food and entertainment. Do you have any recommendations to share? 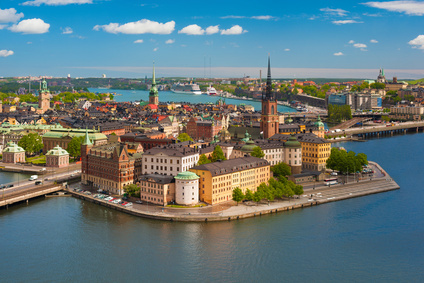 Leave your tips or links to your Swedish travels in the comments below.